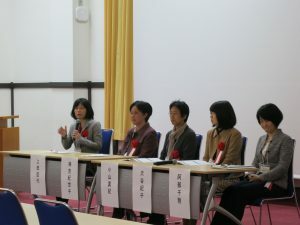 Home / News / Environmental Engineering Research Forum was held in Yoshida Campus. 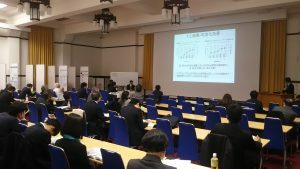 Environmental Engineering Research Forum was held during 17-19 December, 2018 at Clock Tower Centennial Hall, Yoshida Campus. The form was organized by Japan Society of Civil Engineers, and co-organized by GSGES. In total, 222 participants joined this form, which was composed 60 oral research presentations, 64 poster presentations with short-time oral presentations, a special symposium on advanced technology related to sewerage, and study tour. Exchanging up-to-date knowledge on environmental engineering, the form was successfully completed.